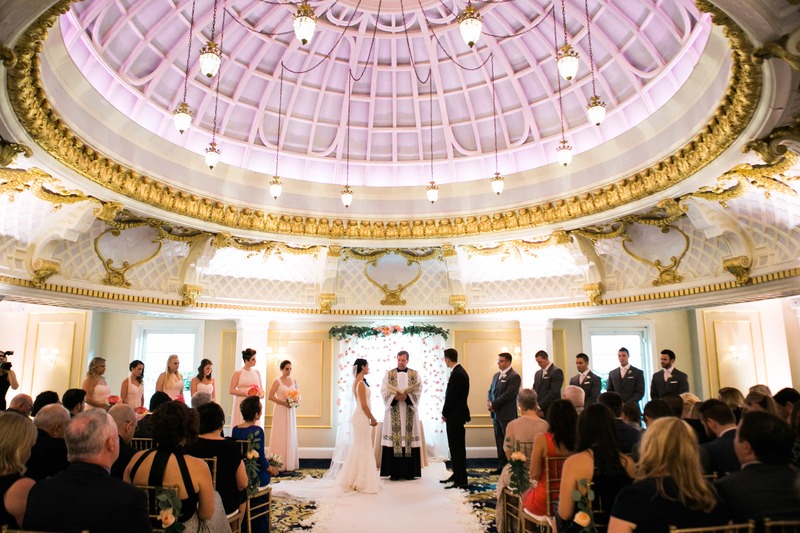 Elizabeth and Michael met at work, at athenahealth. Mike sat directly behind her and they were work friends for over a year before they dated. They always knew they had chemistry. Then one night when they were both out with their friends separately, they ended up running into each other coincidentally in Fenway (this was before they ever texted or called each other). From then on, they knew it was meant to be. 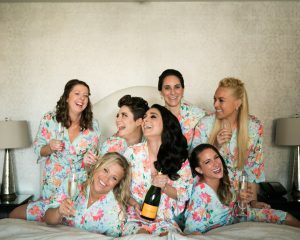 Elizabeth spent the morning getting beautified while sipping bubbles in the Penthouse Suite with her bridesmaids. 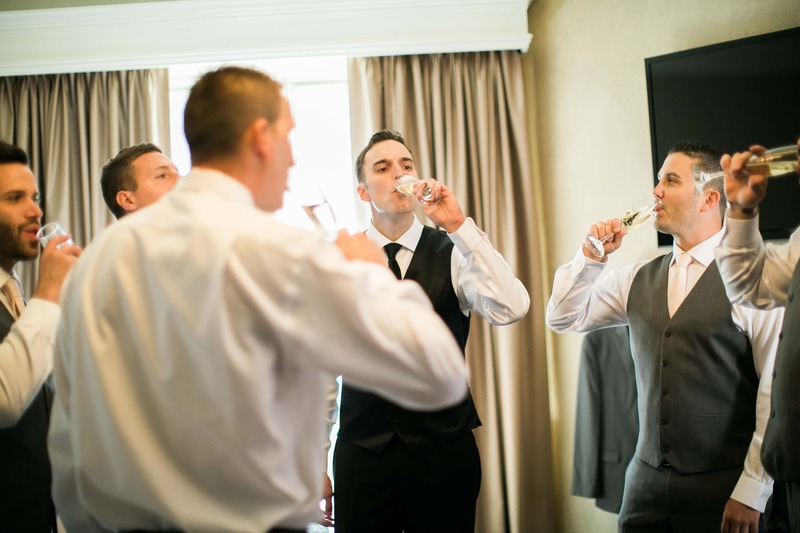 Mike relaxed with his groomsmen, also drinking bubbly, in one of our corner suites. The couple enjoyed a first look outside the hotel on Commonwealth Avenue, followed by group photos. 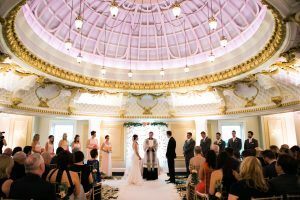 Guests then filled the Dome Room for the ceremony where beautiful blush flowers hung from the ceiling as a stunning backdrop for the emotional vows. 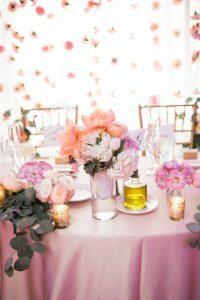 During cocktail hour, guests enjoyed food and drinks while listening to CJ the piano man. For dinner, their guests enjoyed a summer salad with berries and a sesame orange vinaigrette, followed by a choice of Crystal Valley Chicken or New York Sirloin. “Every moment was memorable. It was the best day of my life for so many reasons. Walking across Boylston St. to take pictures on Commonwealth Avenue made me feel like a movie star. Taking photos on the roof after we were married was our little escape to soak it all in. 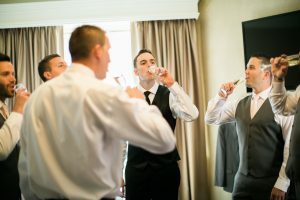 Getting ready in the bridal suite was so much fun. Literally every detail and moment of that day was perfection”.